We've entered the Aviva Community Fund win funds for Monmouth Festival but we need your support. and vote for us if you would like to secure future festivals. Are you brave enough to attend? Celebrate a horrifyingly haunting Halloween with a spine chilling Saturday night party! At the AGM held on Thursday, 6th October 2016 Mel Ralph was re-elected as Chairs; Nick Penny was elected as Treasurer and Cerys Watts as re-elected as Secretary. We would like to say a huge thank you to Clare Webb who stepped down from the Festival Committee and role of Treasurer. Clare has been a great supporter of, and actively involved with the Festival since 1999 (apart from 1 or 2 minor breaks). 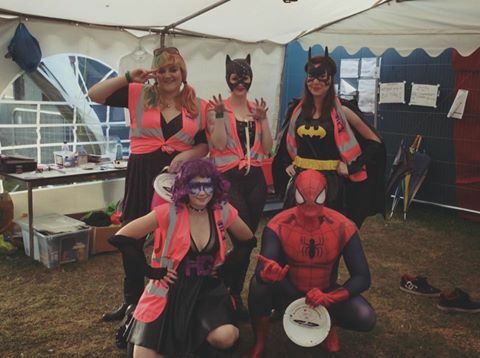 Monmouth Festival 2016 was another success story, we may have been low on buckets but we are still solvent and the Festival team spirit was still there throughout. We were extremely lucky with the weather, glorious sunshine graced us all week bringing out the crowds to support the performers. This year the buzz throughout Monmouth was encouraging and was again due to the hard work of the festival team and volunteers who were unflagging in their commitment over the year running up to the festival, giving up a lot of their valuable time. We would once again like to thank you all and express our gratitude to all those present and unavailable this evening for your un-abating teamwork. This year we had encouraging feedback from the general public with all comments again taken on board. Our mop up meeting produced an extensive list of both things that went well and things to improve on. These will be our starting points when going forward into next year’s planning. Even though the bucket donations were down, we do have a stable foundation on which to plan for 2017 continuing to expand an already successful event. The Treasurer’s report will provide more detailed information. The community event we provide seemed to grow again this year. Ollie Jeffries continued with fringe gigs at The Savoy Theatre, The Riverside and The Old Nags Head. We tried different types of classical music at St Mary’s Church and with thanks to our resident Welsh speaker Cerys put on our first Gymanfa Ganu. This was a huge success with the church wanting to repeat again next year. Monmouth Festival 2016, as always was a busy year. The work of creating a more structured and professional organisation continued with additional new procedures put in place. The idea of introducing “best practice” policies and procedures, as and when a need is identified is to ensure that should Monmouth Festival seek charity status in the future the systems in place are sufficiently robust. There were many challenges again this year, not least the Traders Consent form introduced by Monmouthshire County Council half way through the Festival year. I would like to thank Mike Saunders, Mark Williamson and Debbie McCarthy for their support and help in dealing with this issue. We continued with the A4 brochure this year but it was very different in appearance and feel. The Brochure felt more relevant, looked amazing and was extremely well received. 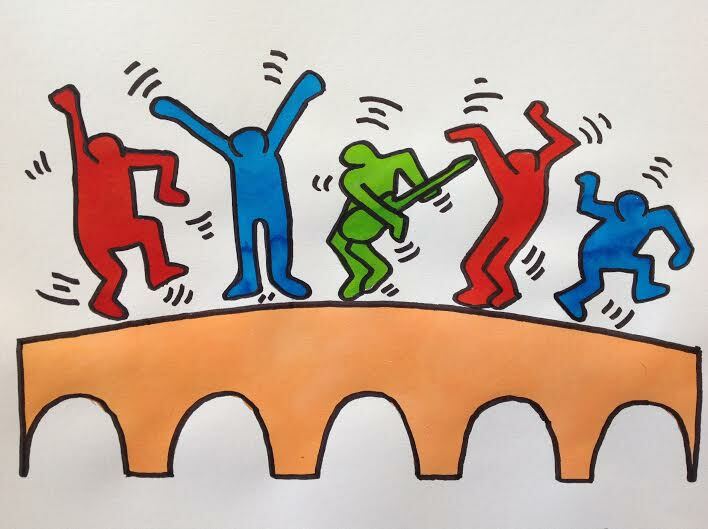 We were fortune this year to be awarded 3 grants – one from Monmouth Town Council contributing to infrastructure costs, one from New Grove Trust to fund the Classical programme and a Big Lottery Grant to diversify and extend the Fringe beyond the usual evening performances. As a result there were daytime performances in Green and Jenks and workshops at the Shire Hall. While some of these proved popular it is unlikely that they can be sustained without the financial support of a grant. To celebrate the Monmouthshire Eisteddfod the Festival held a Welsh night at The Three Horseshoes and a Gymanfa Ganu at the Methodist Chapel. Both events were very well received and many who attended would like to see the events repeated again in 2017. 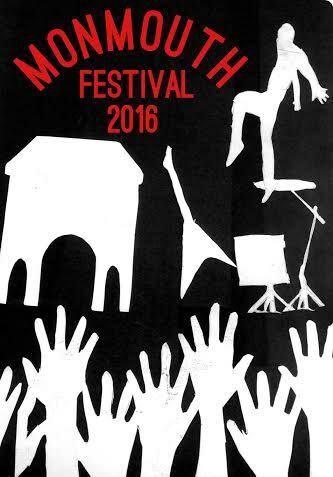 Indeed the 2016 Festival programme was felt by many to have been one of the best for a number of year, both in quality and diversity. It is a huge credit to the efforts of the Ents Sub-Committee that they were able to produce such a varied and consistent programme on the budget allocated. Social Media is extremely important in publicising and marketing the Festival. This year thanks to the efforts of Hannah and Charlie we were able to extend our use of Social Media by uploading interview, music clips, and backstage photos in real time. This generated a huge amount of interest and as a result both our Face book and Twitter reach exceeded 100,000 during Festival week. As usual the success of the Festival is down to a huge team effort. Without the commitment of the Chairs - Mel Ralph and Ian Jones, and the Committee members there would be no Festival, Without the Festival crew and volunteers we wouldn’t be able to stage it. Without your enthusiasm, dedication and generosity it just wouldn’t happen. I would particularly like to thank Clare Webb for reluctantly taking over the role of treasurer and doing such a sterling job. As she’s stepping down from the role and committee I would also like to remind her that she will always be a part of the Festival family. Bucket donations in the main stage area were down on previous years despite being one of the best attended Festivals. Monmouth Festival is the largest and one of the most important community events in Monmouth Town’s Calendar. It promotes and contributes to the sense of community pride; raises the profile of Monmouth nationally and internationally, and attracts a high number of visitors bringing additional revenue to the town. Because the Festival has been staged annually for the last 34 years it is taken for granted that it will continue to be staged. There appears to be no realunderstanding that without additional volunteers and financial support from the community – the people, businesses and even the Town Council – an annual festival is not a given. One of the biggest challenges facing the Committee over the next Festival year is how to effectively communicate the real cost of staging the Festival and that the future of Monmouth Festival is the responsibility of everyone in Monmouth not just the Festival volunteers and committee members. 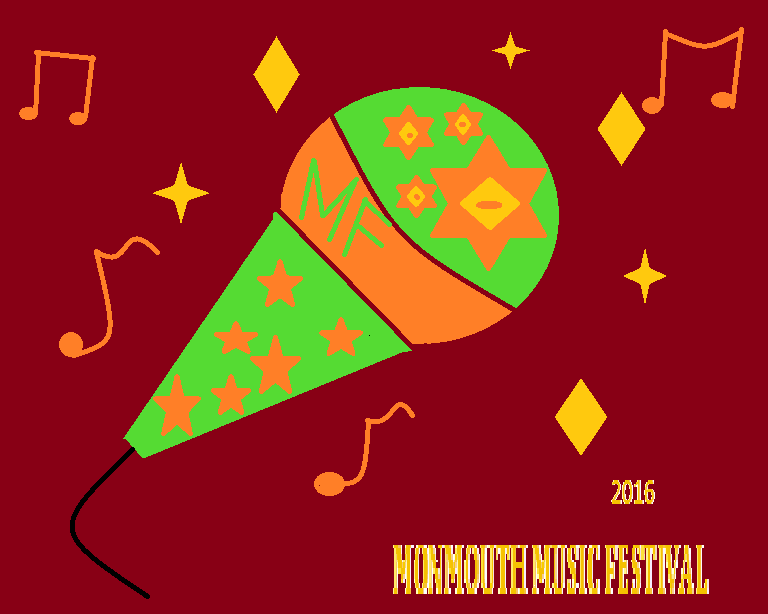 Applications to play Monmouth Festival 2017 are now open! If you would like to find out more about how the Festival is run or join the "merry crew" then please come along. Saturday, 8th November Usk Farmers Market is marking 18 years of trading. They are looking for local buskers to perform between 9.30am and 1.00pm to add a celebratory feel to the market. They will also be raising funds for a Children's Cancer Charity TBC. Performances will take place outside and, as there is no power available, will be totally acoustic. There will be some shelter in the form of a gazebo and free tea/coffee and cakes will be provided. Please message Isobel Brown if you would like to take part. The dates you've all been waiting for! Initially it looked very unlikely that we would be able to stage the Festival in 2017. The 2016 Festival was extremely successful enjoying some of the best weather for some time. Surprisingly, however, donations this year were the lowest for a number of years resulting in a £5k deficit. Thankfully a local business has offered to underwrite the early contracts, making sure that we can continue to trade and Year 35 is now very much underway. Monmouth Festival is one of Europe’s LONGEST RUNNING and LARGEST FREE FESTIVALS and the Festival committee is determined to ensure its continued development and success. The festival gets a small amount of grant funding but without the support of sponsors, advertisers, traders and your donations it won't keep going! It also needs plenty of volunteers to make it happen. CAN YOU, WILL YOU GET INVOLVED? A bad case of "Festival Fever"
We're sorry if we've gone a bit quiet but we've all been suffering from a very bad case of "festival fever"
Symptoms vary and are mixed. Some turn into Wild Wye Women. Some believe themselves to be superheroes. 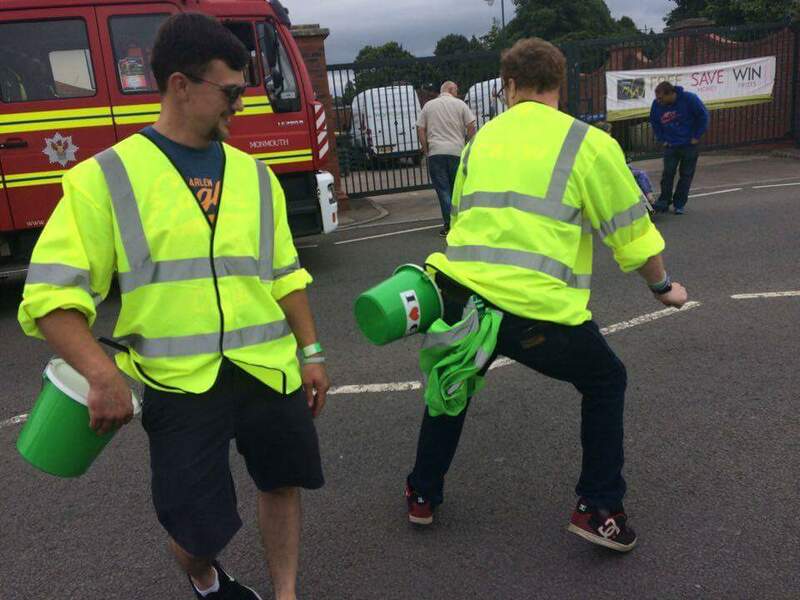 And some find it hard to take off the high-viz and return the buckets! Don't worry the cure is quite simple. Lots of sleep, proper food and abstinence from festivals for several weeks. However the risk of relapse is high - especially during the last week of July and the first week of August! May I take the opportunity to thank some of the people who have supported us and ensured that we were able to put on the 34th Monmouth Music Festival. Our thanks, as ever, are due to Monmouth Town Council for their grant support for the festival and carnival as well as for their support with administration. We also obtained grants from The Big Welsh Lottery and New Grove Trust, which secured new daytime fringe activities and allowed us to continue our classical programme in St Mary’s Church, for which we are very grateful. Our traders on the festival site have supported us appropriately again this year and we hope their faith has been repaid by good crowd support for their efforts during the event. Our advertisers and sponsors ensure we can deliver a widely circulated, good quality brochure and high spec information screen as well as generating a small surplus towards other costs. You will have spotted many of those businesses throughout the town as they displayed a copy of the festival poster. Please support them, please thank them too! My personal thanks are due to the directors and committee members, all of whom devote a significant amount of their time. All are unpaid and their sole interest is in delivering a good quality festival, free for all. Lastly, may I thank all of our festival goers. Without you the whole week would not be the success it is for the town. You make it what it is. Your donations also help to underpin next year’s event. Without that security we cannot develop continuing improvements to the festival or engage with some of the artistes we might want to bring to our town. We aim to be back next year and if so please, come along and support. Many of you are and have been extremely generous. If every attendee donated just £1 per visit we know we could guarantee the continuing success of Monmouth Music Festival. Hopefully everyone will be able to feel that they can do that next year. The Caspiens will be opening the Festival this Friday! 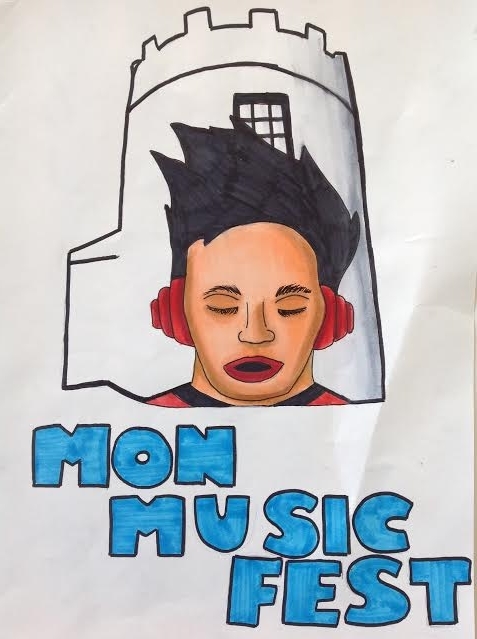 Unfortunately The Pretend Poets are unable to play Monmouth Festival this year but never fear The Caspiens, a fantastic band will get the Festival off to a rocking start! "Once in a blue moon one sees a band that has 'it', and this band has most definitely. Rock sensibility, energy, charisma, and tunes. Plus technical skill." We'd like to say a huge thank you to the businesses that have sponsored the Festival or advertised in the Festival Brochure / will advertise on screen. Their support is one of the reasons that we are able to keep Monmouth Festival a free, donation supported event. As a thank you we have given them all a Festival poster to display in their windows / reception areas. Please keep a look out and if you can give them your support in return. We're very excited about the additional events offered this year throughout the Fringe especially the daytime workshops. The workshops are open to all ages but space is limited so please get there early. Just a reminder that this year's Festival is GLASS FREE. It will work in exactly the same way as last year in that absolutely no glass will be allowed on to the Festival site. You may bring your own personal supply of alcohol with you but please decant anything in a glass container into plastic bottles before coming to the Festival. Anyone bringing glass bottles or containers will be asked to decant the liquid into plastic bottles before entering the Festival site. Congratulations to Hamish Lawson and Tom Cavilla. Hamish's simple but bold design was chosen as the Festival T-shirt and it was felt that Tom Cavilla's bright and colourful design would make a great poster. There were some fantastic entries. A huge thank you to everyone that submitted designs. This year we thought we would approach our local senior schools to design the Festival T-shirt. The response was brilliant and the standard was really impressive. So much so that we ended up with two winners! One for the T-shirt and one for a poster. Which two would you pick? Find out who the winners are in The Monmouthshire Beacon tomorrow. Do you know “The Spirit of Monmouth”? Who will be the 2016 Spirit of Monmouth? The Carnival is looking for someone special, aged between 7 and 107, to represent “The Spirit of Monmouth” in the Carnival Procession on Sunday, 24th July. Submit your nomination via The Carnival website https://monmouthcarnival.uk/contact/ or drop it in by hand to Les Modget at Car Care in Monnow Street.